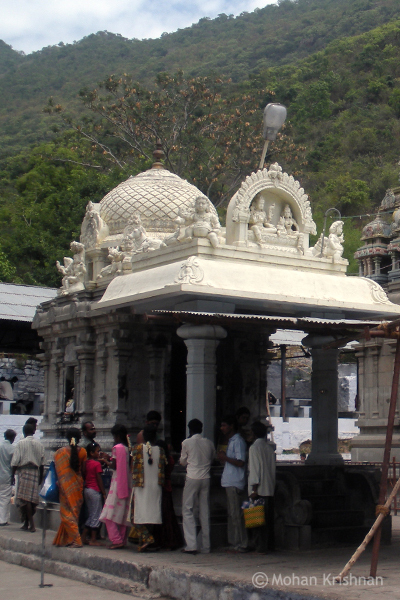 You should not think of crossing this area without visiting this small, cleanly maintained and beautiful temple. 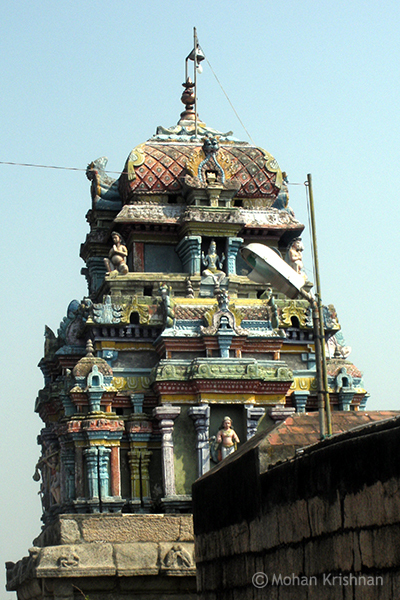 This temple is beleived to be about 300 years old. The hill is visible from a distance and you cannot miss this temple. A short and pleasant climb takes you to the top and a little time spent taking in the view around will relax you. This temple is in a busy place and would be crowded at the best of times. 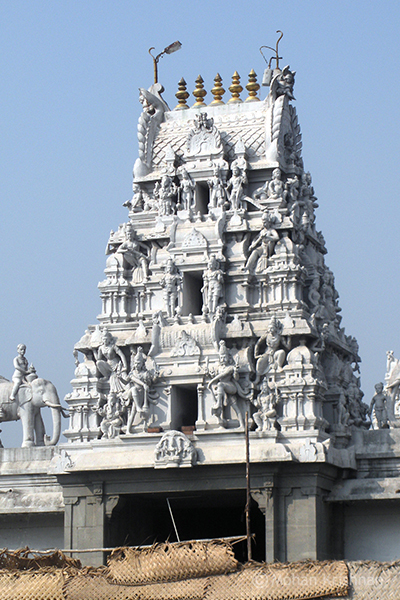 It is considered a powerful shrine and there are lot of festivals and events taking place. 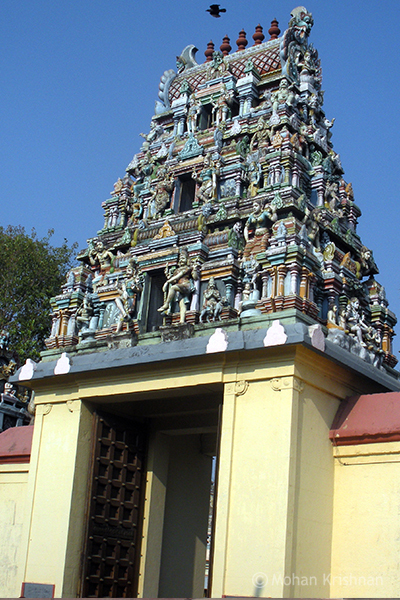 This is a famous Muruga Temple that is considered equal to the Arupadai Veedu Temples. 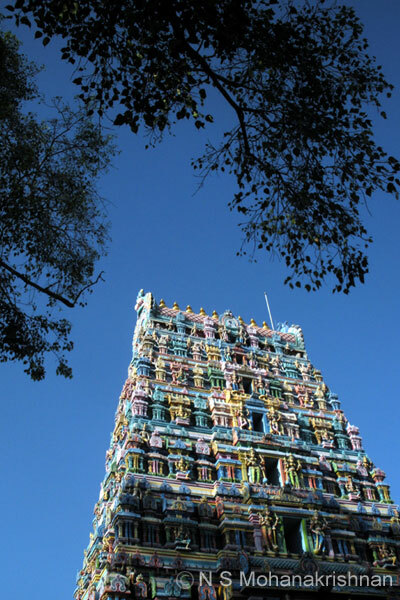 This is actually a siva temple but the Muruga here is more popular. It is advisable to spend a little time observing all the sculptures here which are very good.